Be ready for the Sweetest Fun Run of 2018! We’re making preparations for the best Great Candy Run Denver’s ever seen. We invite you to join in the fun as a participant, as volunteers, or a spectator. 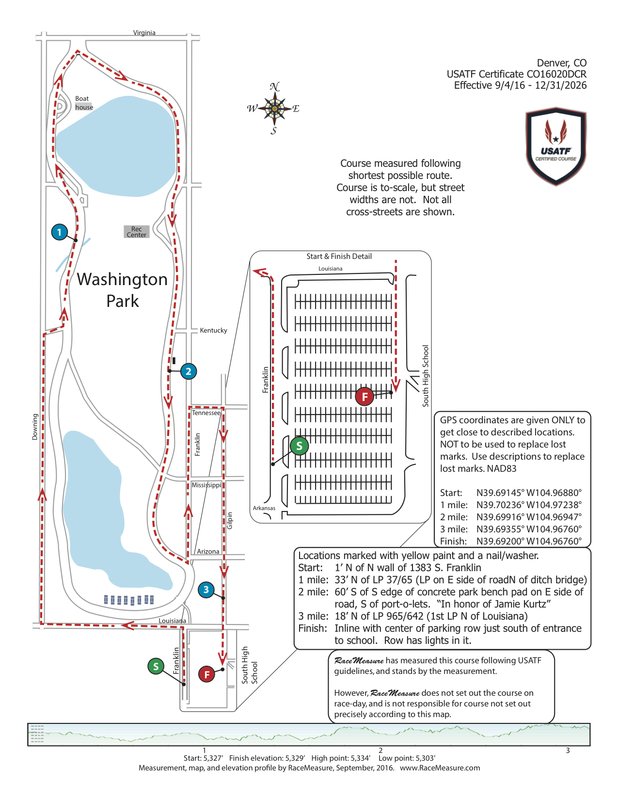 This post includes FAQs, the Race Day Schedule, and Maps! A: A: Go Green! We strongly encourage carpooling and public transportation! 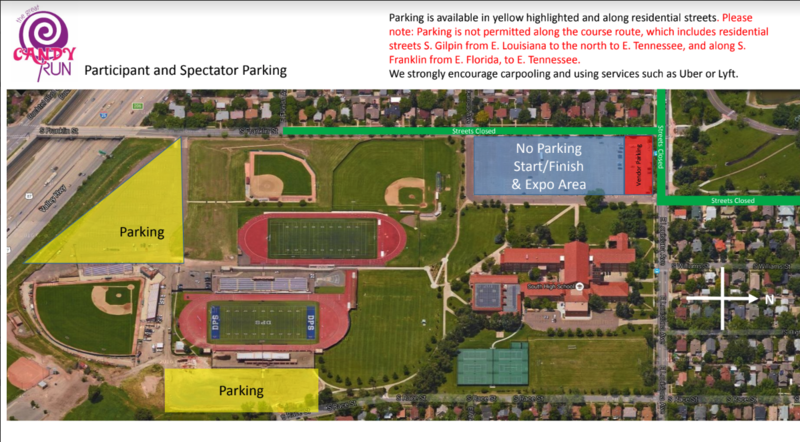 Parking will be available at All City Stadium and in the lot directly South of South High School, additionally, parking will be available on some residential streets around Washington Park and South High School but be aware that some roads are part of the race course and therefore will be closed. 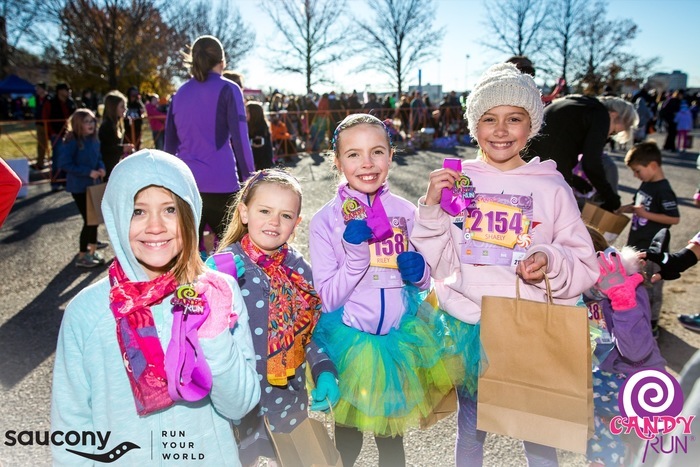 Q: Do I need to register my child for the 5K? A: If your child is riding in a stroller they do NOT need to be registered (and will not receive a t-shirt). Everyone else participating in the 5K, whether running or walking, must be registered and wearing their bib number on the front. Q: My child is running with a school group. Do I need to register? A: Yes, if you plan to run or walk the 5K you do need to register. Q: Can I register at the race? A: Yes, walk up registration will be available on event day starting at 8:30AM. The registration tents will be on the lawn of South High School. Prices do increase by $5 on race day. A: Yes, friendly dogs are welcome but please consider that some areas will be crowded and this can be stressful for some dogs. 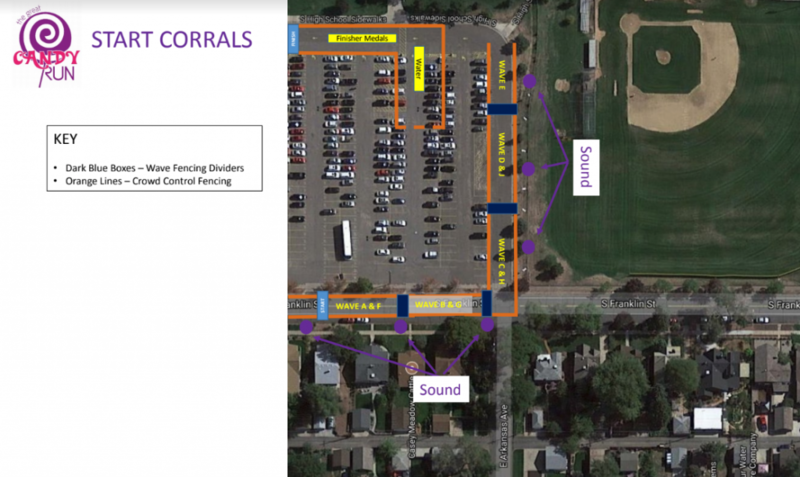 For safety reasons, those walking/running with a dog must start in the last corral. We appreciate your attention to this policy. Q: Where is the best place to watch The Great Candy Run? A: Spectators make the race even more fun. Here’s a map! Q: What is the schedule for Sunday? 11:00 Awards Presentation on the main stage. Costume Awards immediately follow. A: YES, CASH PRIZES – First 3 Male & Female Overall, and First 3 Male & Female in the Stroller Division. Age Group Winners are the Top 3 Male & Female in each of the following: 9 & Under, 10 – 14, 15-19, 20-24, 25-29, 30-34, 35–39, 40-44, 45-49, 50-54, 55-59, 60-64, 65-69, 70-74, 75-79, 80 & over. Q: Will there be water and food out on the course? A: There will be one water stop on the course but there will not be food along the race route. Q: Where do I find the start line? 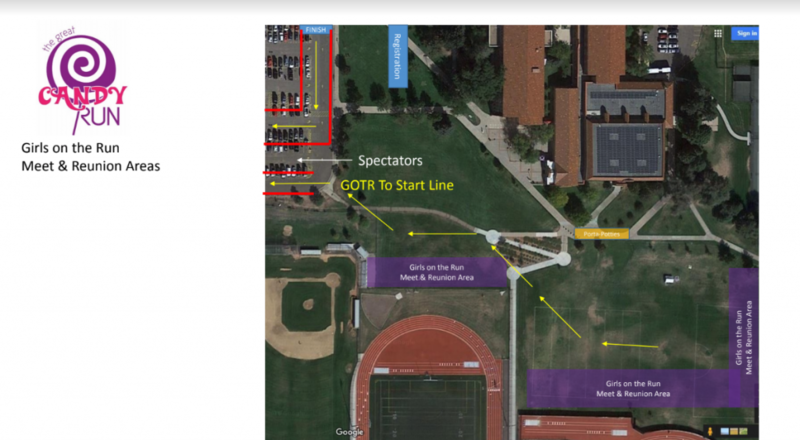 A: The Start Line is located on Franklin Street directly across the South High School parking lot from registration. Q: How do I know where to line up? Those that are running an 8:30 minute per mile pace or faster are encouraged to line up in the first wave. For everyone’s safety and enjoyment, walkers, strollers and dogs are encouraged to start in the later waves. One exception will be for strollers competing in the stroller division, stroller runners averaging an 8min/mile pace or better will be allowed in the earlier waves. Q: How will I find my child’s team? 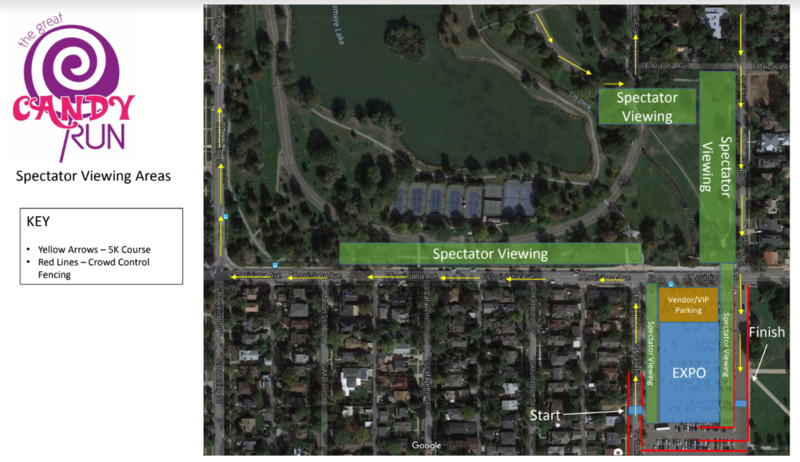 A: There are designated areas (map) around the high school for team groups to meet before and after the run. Please be sure to get meeting information from your child’s coach or teacher prior to event day. A: YES! Volunteers will be handing out finisher medals to those that completed the course and are wearing their bib number. Only 1 medal per finisher, please.